A majority of people have switched to laptops from desktop computers which is a sign of their increasing popularity. It is an advanced version of the desktop computer which can perform all its functions with high portability. 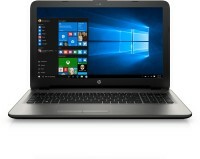 With evolving technologies, Laptops are available in various ranges with different features on s number of laptop comparison website. Electro Rocks is here to clear all the confusion and help you compare laptops to make an informed choice. 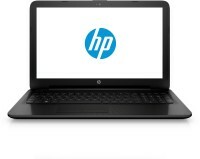 Our platform compares features of a wide range like Apple laptops, Lenovo, Acer, HP and dell laptop series with price. 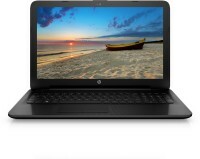 The question where to buy laptops from has been correctly answered by internet. It has facilitated the user to compare, analyze and filter the choices as per need. For example, comparing dell laptop price list with specification has now become as easy as blinking your eyes. Facilities like product refund has revolutionized the and shifted the market from best place to buy a laptop in store to World Wide Web (www). Screen quality: Screen quality is responsible for one’s comfort level with the laptop. A screen resolution of 1920x1080 pixels or higher with tested viewing angle is preferred. Laptop size: If you want a highly portable laptop then the notebook can be a lightweight option. For regular use, it is acceptable to go for a laptop with a weight of 1 to 1.5 kg and a 12 to 13-inch screen. RAM: For a decent performance, a RAM of 8 GB is acceptable. However, if you need a higher performance then you can opt for higher levels as well. Battery life: The battery life of your laptop will decide how long you can use it without recharge. Central processing unit: The CPU is responsible for the multitasking ability and performance of the laptop. The Core i3 (for basic surfing), Core i5 (used in most mainstream laptops), and core i7 (for heavy gaming and multitasking ability) are all specifically designed to suit the requirements of every individual customer. Storage capacity: The storage capacity is responsible for the laptop’s ability to store data. Everyone has different storage needs so it is completely dependent on personal preference. Keyboard: Consider choosing a laptop with a nice layout and some space around the keys for a better user experience & long typing ease. USB 3.0: Choose a laptop which comes with 2 USB ports unlike one 3.0 USB port of traditional laptops. Keep the following factors in mind and choose the right laptop for you at Elector Rocks. Scroll up and begin your search now.